Tristen Saeger of Delta registers an RBI via the sacrifice fly during an ACME baseball game last summer. He is back to help lead the Panthers this season. This could be a rebuilding year for Delta baseball with the loss of several key contributors from the 2018 campaign. However, seventh-year coach Damon Mattimore has a positive outlook of the season ahead. “This team has good chemistry already, and has worked well together in the preseason,” he said. “They are real eager to learn and compete. We are young with a lot of newcomers to the varsity roster. We will compete every day and work to get better every day. The Panthers lose a quartet of all-league performers from a season ago, including Gabe Freeman who was second team All-Northwest Ohio Athletic League after making the first team in 2017. He posted a .438 batting average with 33 runs scored and 34 stolen bases. They will have to replace Jason Beverly who was second team all-league in each of the last two seasons, along with Robby Arredondo and Colin Rouleau who were both honorable mention. Beverly finished last season with a .329 average, 14 runs batted in and 19 stolen bases. Arredondo held a .284 average with 15 RBIs and eight stolen bases. Also gone for the Panthers are Logan Albring and Logan Echler. They return seniors Kayden Kurth and Tristen Saeger, plus sophomores Jayce Helminiak, Austin Michael and Hunter Hamilton. Newcomers to the squad are Jacob Schneider, Dalton Richard, Chase Cooper, Chase Stickley, Will McQueen, Drew Clifton, Max Hoffman, Shawn Pedersen and Trevor Wittes. The Panther coach knows his squad will have to be at their best to finish as one of the league’s top teams. In 2018 they tied for fourth with a 3-4 record. 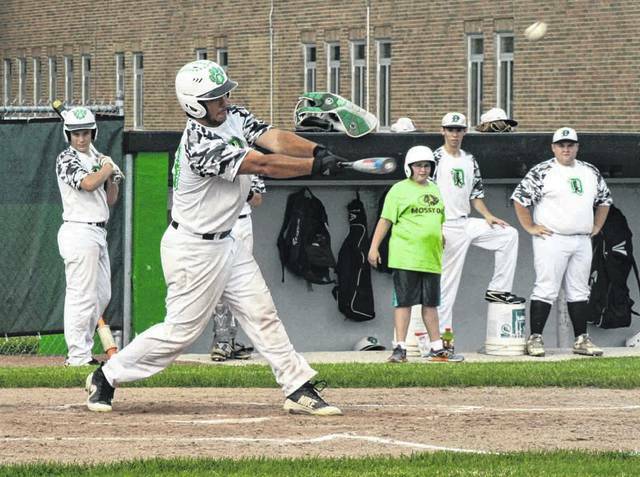 “The NWOAL continues to be one of the strongest leagues in the area,” said Mattimore. “We feel Byran is the league favorite until someone is able to take the title away from them. Delta begins the season by hosting Blissfield Saturday at 1 p.m. They then hit the road for games at Genoa next Monday and Evergreen on Tuesday.